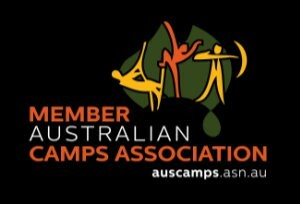 Camp Coolamatong and Scripture Union Victoria have run innovative school camps and holiday camps for over 50 years. Our camps have made a profound positive impact on the lives of hundreds of children, young people and families. Camp Coolamatong is located on the Banksia Peninsula, at the foreshore of the Gippsland Lakes, 15 minutes from Bairnsdale. There are two distinct campsites; the Farm Camp and the Lake Camp. We run specialised adventure and activity programs for primary and secondary schools, as well as private groups. Let us tailor-make a program for your school or group. WE ARE THE SCHOOL CAMPING SPECIALISTS IN VICTORIA! Coolamatong has two distinct campsites, the Farm Camp provides a huge range of introductory onsite camping experiences, while the Lake Camp provides tailor made outdoor education programs designed for your group utilising the vast beauty of the Gippsland Lakes. We are famous for producing happy campers who depart better equipped for the challenges they face, inspired to build their personal capacity, and nurtured to understanding that their lives are valuable and important. Our mission is to provide an exciting, nurturing and safe camping experience, tailored to meet the needs of individual groups, and through this experience to demonstrate the hope of the Christian faith. More than just somewhere to sleep, our facilities are designed to be appropriate to the age and stage of our campers, with comfort, convenience and security in mind. We will design a program in partnership with school staff to meet the specific needs of the group. Bushwalking, archery, canoeing, stand up paddle boarding, climbing/abseiling, low ropes, mountain biking, raft building, bush cooking, indigenous culture sessions, sailing, water tubing, overnight campouts and more! Both campsites have direct access to the Gippsland Lakes. Farm Camp is on 170 acres of pastoral outlook, and Lake Camp is nestled on 10 acres of coastal bushland. Camp Coolamatong staff facilitate all activities, providing resources and support needed to enable school staff to enjoy the camp experience with the students. Qualified instructors who not only lead specialist adventure activities but also provide outstanding role modelling as they interact with your students. Every year the staff at Coolamatong provide a fantastic experience for our students. I saw the students grow in respect for each other and themselves over the period of the camp. Such a lovely environment to visit and be a part of. Thank you so much for having us. I have been on quite a few camps but I think this is the best camp I've been on. Well organised, a great variety of activities and amazing food. Kids still talking about it.